Individuals from all religious and spiritual backgrounds, and at all stages of their spiritual journey, are welcome. We come together to support each other on the path of awakening, and to deepen our practice of wisdom and compassion for the benefit of all beings. We are a group of meditators who meet together for silent meditation, Buddhist teaching and discussion. We emphasize Insight Meditation, also known as Vipassana or Mindfulness, though anyone is welcome to sit with us and practice their preferred meditation techniques. We offer many sits throughout the week which encompass dharma talks, silent sitting, and discussion. In addition, we have monthly events which include full-day sits (mini-retreats), mindful hiking, community potlucks, and other events. Please see our Calendar or Facebook Page to find out more about our current offerings. Also, many up and coming events are posted right on the homepage of the website. Non-residential retreats are offered several times per year, and we are working on offering residential retreats. 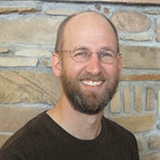 These retreats are often led by our teacher, Brian Lesage. We seek to make the dharma available to all who seek it. For information regarding the members of the community that help coordinate activities, please see the Board of Directors page. For information regarding the members of the community that help guest speak while Brian is away, please see the Guest Speakers page. Flagstaff Insight Meditation Community (FIMC) is a community of spiritual practitioners. Our origins arise from the Vipassana/Theravada/Early Buddhist traditions. FIMC sponsors teachings that are rooted in these traditions to bring freedom and contentment to all beings everywhere without exception. Offer regular local meetings for meditation. Provide frequent organized meditation retreat(s) with trained teachers. Provide co-operatively run meditation retreats supported by the generosity of the community. Provide information regarding other retreats, publications, books, tapes or information that may be of interest to FIMC. Encourage the practice of generosity (dana) in various forms to support the day to day functions as well as the on-going financial obligations of FIMC. Create a community which nurtures and supports its diverse participants on the path of awakening. Engage in any other activities as deemed appropriate and allowable for a charitable organization under the provisions of IRS Section 501(c)(3).